The foray into folk from punk is a trip many take, at times experimenting early in one’s career, but for some old punks this is more than just growing up. Jason Bancroft, who has the street cred as he formerly fronted the Austin-based Black Star Brigade, has been patiently working on his latest project Jason Bancroft and the Wealthy Beggars. The Houston-based band has been making the folk festival rounds around Texas for the past two years in anticipation of the release of its new record “This Machine,” which is out now. 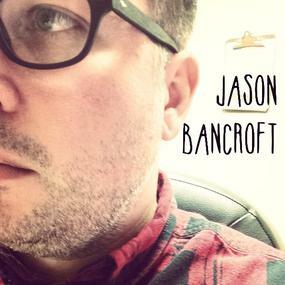 “This Machine” captures Bancroft’s vision of ‘new’ American folk, which not coincidentally the band’s 2012 EP was titled. Distort the instrumentation and these can easily be punk rock songs, but Bancroft’s upbeat folk has an organic feel and isn’t forced like many of the folk flavor-of-the-month radio acts. Tracks like “Fall of Acre”, “The New American Folk” and “Move on Woody, Move On” really show that the band is about equal parts Billy Brag and Woody Guthrie. If Americana and sing-along folk is your thing, “This Machine” is a nice representation of one of Houston’s top folk-rock acts. "This Machine” has enough gruff to keep the punkers’ attention and plenty of folk chops to keep traditionalists happy.